You are here: Home / Home, Shelter & Decor / How Much Does A Tiny House Cost? A tiny house often means many things depending on who is being asked. Many people may consider a tiny house to be a shack or something that is smaller than average. With the tiny house movement these days, a tiny house can be built with traditional materials or conventional materials, and tiny homes even can be portable. There are numerous possibilities. The idea behind tiny house movement, however, is to lower the cost of living by using the minimalist amount of space. People who build a small and efficient cabin in the woods or on a small lake are building a tiny house. This type of house typically will have just one story and may sit on a slab or some other type of foundation. One detail which will be important is the type of materials and how they affect tiny house cost. The effect on tiny house cost will depend on the design that is used for the structure. Another aspect to realize is the options that are used. This includes the type of roof, the windows, and the door. You need to account for the cost of these items when budgeting your tiny house cost. You will need to cost out the materials that are needed to construct your tiny house. This is crucial as a tiny house will need the same features as an average-sized house. You will need to use wood to build a frame, paneling is needed for the exterior, and insulation and roofing also will be required. These materials play an important role in tiny house cost estimations. 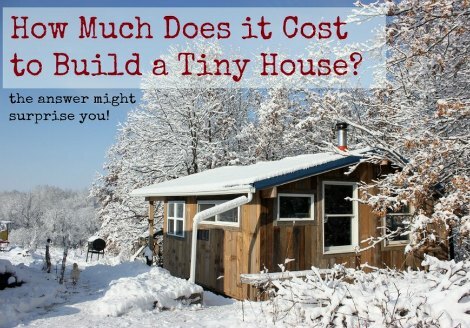 One of the biggest aspects of tiny house cost to understand is the labor cost. This cost is then added to the price of the materials that are needed to build the structure. These are only two factors of a tiny house that need to be understood before beginning a new project.